David Ashworth Gates (born December 11, 1940) is an American singer-songwriter, musician and producer, frontman and co-lead singer (with Jimmy Griffin) of the group Bread, which reached the tops of the musical charts in Europe and North America on several occasions in the 1970s. The band was inducted into the Vocal Group Hall of Fame. Originally from Tulsa, Oklahoma, Gates was surrounded by music from infancy, as the son of Clarence, a band director and Wanda Gates (nee Rollins), a piano teacher. He became proficient in piano, bass and guitar by the time he enrolled in Tulsa's Will Rogers High School. Gates joined local bands around Tulsa. During a concert in 1957, his high school band backed Chuck Berry. In 1957, David Gates and the Accents released the 45 "Jo-Baby"/"Lovin' at Night" on Robbins record label. The A-side was written for his sweetheart, Jo Rita, whom he married in 1958 while enrolled at the University of Oklahoma studying music. At Oklahoma he became a member of Delta Tau Delta International Fraternity. In 1961, he and his family moved to Los Angeles, where Gates continued writing songs, and he worked as a music copyist, as a studio musician, and as a producer for many artists – including Pat Boone. Success soon followed. His composition "Popsicles and Icicles" hit No. 3 on the US Hot 100 for The Murmaids in January 1964. The Monkees recorded another of his songs, "Saturday's Child". By the end of the 1960s, he had worked with many leading artists, including Elvis Presley, Bobby Darin, Merle Haggard, Duane Eddy and Brian Wilson. In 1965, Gates arranged the Glenn Yarbrough hit, "Baby the Rain Must Fall". In 1966, he produced two singles on A&M Records for Captain Beefheart and The Magic Band which were hits in the Los Angeles area. In the meantime, Gates had been releasing singles of his own on several labels in the early 1960s. On Mala Records, he released "There's a Heaven/She Don't Cry", "You'll Be My Baby/What's This I Hear", "The Happiest Man Alive/A Road That Leads to Love", and "Jo Baby/Teardrops in My Heart". On Planetary, he released "Little Miss Stuck Up/The Brighter Side", and "Let You Go/Once upon a Time" under the Pseudonym of "Del Ashley" in 1965. On Del-Fi, he released "No One Really Loves a Clown/You Had It Comin' to Ya". He also released a single under the name of "The Manchesters" in 1965 on the Vee-Jay Label. In 1967, Gates produced and arranged the debut album of a band called The Pleasure Fair, of which Robb Royer was a member. A little over a year later, Gates and Royer got together with Jimmy Griffin to form Bread. The group was signed by the Elektra record company, where it would remain for the eight years of its existence. Elektra released Bread's first album, Bread, in 1969, which peaked at No. 127 on the Billboard 200. The first single, "Dismal Day", written by Gates, was released in June 1969 but did not sell well. Bread's second album, On the Waters (a play on Ecclesiastes 11:1), with a new drummer, Mike Botts, was released in 1970, and became a breakout success. It contained the No. 1 single "Make It with You" and was the first of seven consecutive Bread albums to go Gold in the US. Bread's next three albums, Manna (1971), Baby I'm-a Want You (1972) (featuring Larry Knechtel as a new member of the band, replacing Royer) and Guitar Man (1972) were also successful, with more chart singles and gold records. From 1970 to 1973, Bread charted 11 singles on the Billboard Hot 100, all of which were written and sung by Gates. That caused some antagonism between Gates and Griffin, who was also a significant contributor to Bread's albums as a singer and songwriter. Bread disbanded in 1973, much to the surprise of fans and the music industry. Their last concert was performed at the Salt Palace in Salt Lake City, Utah on May 19, 1973. Gates recorded and produced his solo album First in 1973. The single "Clouds", an edited version of the album track "Suite Clouds and Rain", peaked at No. 47 on the Billboard Hot 100 singles chart, and No. 3 on the Adult Contemporary chart. The full album version was played extensively by Radio Caroline presenter Samantha Dubois at the end of her early morning radio programme, and became her closing theme. A second single, "Sail Around the World", reached No. 50 on the singles chart and No. 11 on the Adult Contemporary chart. The album reached No. 107 on the Billboard 200 albums chart. In 1975, Gates released the album Never Let Her Go. The title track was released as a single, and reached No. 29 on the Hot 100 chart and No. 3 on the Adult Contemporary chart. The album itself reached No. 102 on the Billboard 200. Bread reunited in 1976 for one album, Lost Without Your Love, released late that year. The title track—again written and sung by Gates—reached No. 9 on the Billboard Hot 100. At the end of 1977, Gates released what would be his most successful single as a solo artist, "The Goodbye Girl", from the 1977 film of the same name. It peaked at No. 15 on the Billboard Hot 100 in 1978. To capitalize on that success, Gates put an album together in June 1978 that featured material from his first two solo albums mixed with some new material. It yielded another hit single, "Took the Last Train", which reached No. 30 on the Billboard Hot 100 but the album itself made it only to No. 165 on the Billboard 200. In 1978, Gates and Bread guest starred on an episode of The Hardy Boys Mysteries. Botts and Knechtel from Bread, along with Warren Ham, brother Bill Ham and bassist David Miner, continued to record and tour with Gates. In the fall of 1978, they toured billing themselves as "David Gates & Bread", which brought a lawsuit from Griffin, who was still co-owner of the Bread trademark, and an injunction against the use of the name Bread. By the end of '78, the "Bread" moniker had been dropped and they continued on as "David Gates and His Band". The dispute was not resolved until 1984. Gates released the albums Falling in Love Again (featuring "Where Does the Loving Go"), which peaked at No. 46 on the Billboard Hot 100 in 1979, and Take Me Now, which peaked at No. 62, in 1981. He recorded a duet with Melissa Manchester, "Wish We Were Heroes", included in her 1982 album Hey Ricky. Gates was less active in music during the remainder of the 1980s. He concentrated on operating a cattle ranch in Northern California, located on land he purchased in the 1970s. He returned to music in 1994, when he released Love Is Always Seventeen, his first new album in thirteen years. 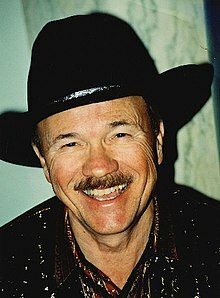 The David Gates Songbook, containing earlier hit singles and new material, was released in 2002. Engelbert Humperdinck included "Baby I'm-a Want You" on his 1972 album In Time and "If" on his 2003 album Definition of Love. Frank Sinatra covered "If" in a live performance at Madison Square Garden on October 12, 1974 which was recorded by Rhino Records. Gates's songs have been recorded by many artists, including Telly Savalas, who had a UK No. 1 hit with "If" in 1975; Vesta Williams, who made a rendition of "Make It with You" in 1988; the band CAKE, which covered "The Guitar Man" in 2004; Ray Parker Jr, who also recorded "The Guitar Man" in 2006; and Boy George, who took "Everything I Own" to No. 1 on the UK chart, when he covered the Ken Boothe reggae version of Gates's song, which itself had been a UK No. 1 in 1974. Jack Jones recorded a Bread tribute album, Bread Winners (1972) including the Gates' standard, "If", which has long been a staple of Jones' live performances. According to a 1996 article in People, Gates has remained married to high school sweetheart Jo Rita since 1958. Together they raised four children: three lawyers and a cardiothoracic surgeon. Gates, who studied the cattle ranching business while touring with Bread, purchased a 1,400-acre (570 ha) cattle ranch financed by royalties he earned during his time with the group. According to his Facebook page, he lives happily with his wife in Mount Vernon, Washington, enjoying his retirement. 1957: "Jo Baby/Lovin' at Night"
1958: "Pretty Baby/Cryin' for You"
1959: "Swingin' Baby Doll/Walkin' and Talkin'"
1960: "What's This I Hear/You'll Be My Baby"
1960: "The Happiest Man Alive/The Road That Leads to Love"
1961: "Jo Baby (version 2)/Teardrops in My Heart"
1962: "Sad September/Tryin' to Be Someone"
1963: "No One Really Loves a Clown/You Had It Comin' to You"
1964: "The Oakie Surfer/Blue Surf"
1964: "My Baby's Gone Away/Kiss and Tell"
1964: "She Don't Cry/There's a Heaven"
1965: "Little Miss Stuck-Up/The Brighter Side"
1965: "Just a Lot of Talk/Love or Money"
1965: "Sad September/Star of the Show"
1965: "Let You Go/Once upon a Time"
1965: "I Don't Come from England/Dragon Fly"
197? : "Clouds/Sail Around the World"
1974: "Sad September/Tryin' to Be Someone"
1978: "Goodbye Girl/Took the Last Train"
1980: "Can I Call You/Chingo"
1980: "Falling in Love Again/Sweet Desire"
1981: "Come Home for Christmas/Lady Valentine"
^ "Bread Inductee". Vocalgroup.org. Retrieved February 29, 2012. ^ Kim Summers (December 11, 1940). 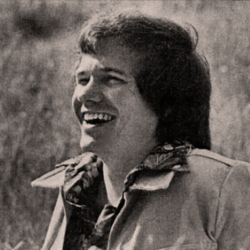 "David Gates | Biography". AllMusic. Retrieved November 7, 2013. ^ "Radio Tunes Van Vroeger En Nu". Members.home.nl. Retrieved November 7, 2013. ^ "BREAD (David Gates, James Griffin & Co.)". www.facebook.com. Retrieved April 15, 2019. ^ Fiege, Gale (May 21, 2017). "Known for its tulips, Mount Vernon offerings worth a day trip". HeraldNet.com. Retrieved April 15, 2019. ^ "Bread – Solo and Duo Releases Part 1". Jlindquist.net. Retrieved November 7, 2013.